This undated photo provided by the Montana Fish, Wildlife and Parks, on May 25, 2018, shows a wolf-like animal that was shot on May 16, 2018, after it was spotted in a private pasture with livestock near Denton, Mont. It was originally thought to be a wolf, but doubts arose since the front paw appeared too short, the front claws too long, the canine teeth too short, and ears too tall in proportion to the skull. Was it a wolf, a new dog breed, or something a bit more mythical? 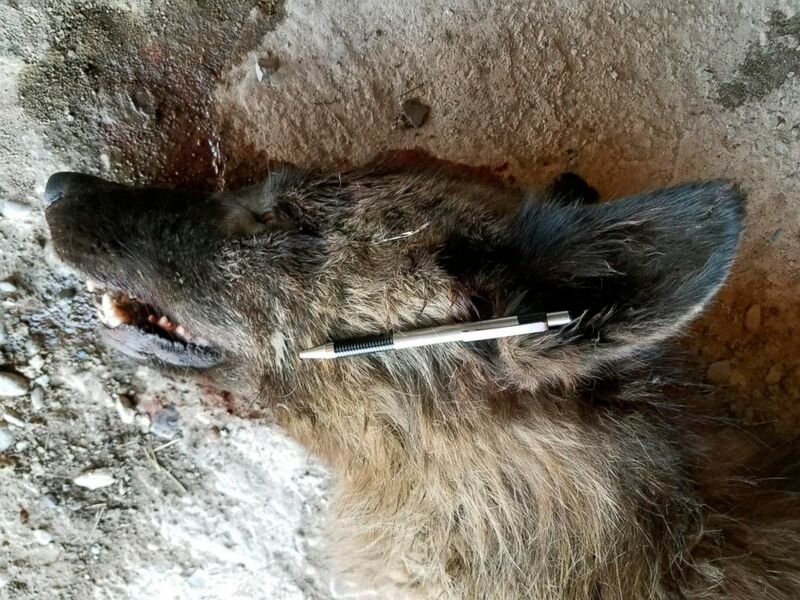 A rancher near Denton, Montana, killed a wolf-like creature on May 16 that he claimed was terrorizing his livestock. The creature was initially described as a wolf, however, a spokesperson with Montana Fish, Wildlife & Parks (FWP) said in a statement that "something was not right about the animal." 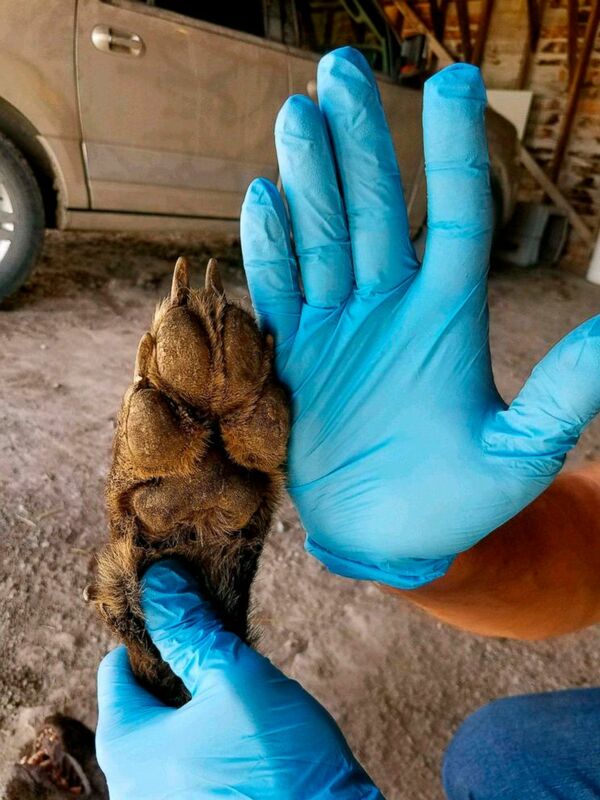 After examining multiple photographs, FWP specialists said the creature could not be a wolf, noting that the animal’s front paws and teeth were too small. Social media users were quick to jump into the conversation, with some speculating that it was a young bear, werewolf, or even a chupacabra, a legendary creature that had a reputation for attacking livestock. The most likely outcome: a wolf/dog hybrid, according to Montana FWP. Ty Smucker, a Great Falls Wolf Management specialist, told ABC News that he has seen a lot of wolf/dog hybrids and "most of the time they look really pretty healthy, not quite like that." The mysterious animal allegedly came within several hundred yards of the rancher’s livestock when it was shot. “The animal was a young, non-lactating female, and a canid, a member of the dog family, which includes dogs, foxes, coyotes and wolves,” Montana FWP said in a statement. Tissue samples collected by Montana FWP will be shipped to the U.S. Fish and Wildlife Service Laboratory in Ashland, Oregon. There, scientists will use DNA extraction to try to determine the species of the creature. This process could take weeks, possibly even months. The guessing game will continue until then.